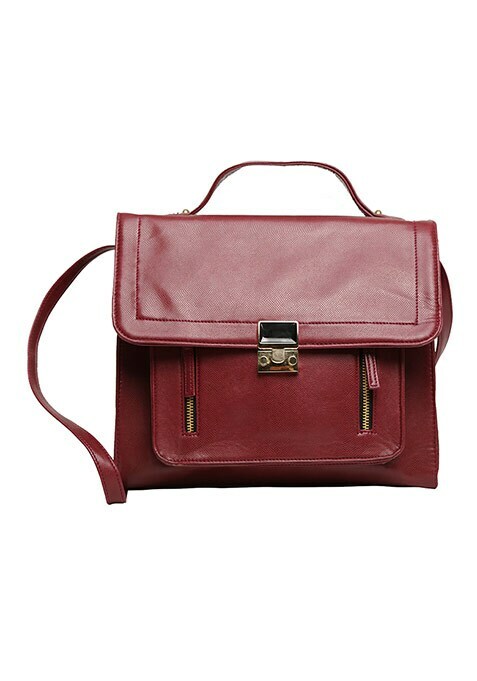 Get chic stat with the classic oxblood mini satchel bag featuring a sophisticated front flap closure and gold tone hardware. Perfect 24 hour arm candy! Work It - Looks great with a floral fitted dress and strappy sandals.